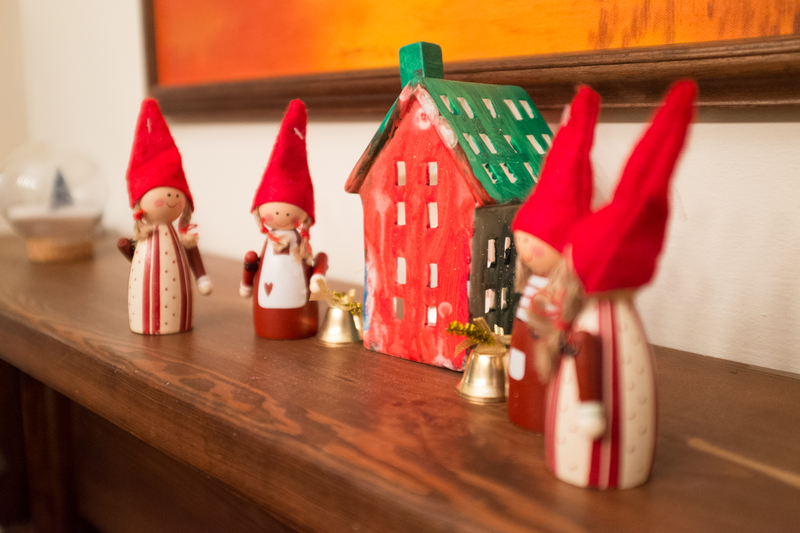 It is time to bring cheer to your house with some fresh decorating ideas. The Red Notebook has been experimenting with some Christmas decorations and would like to share what I have been up to recently. Due to some health problems with the little one I was pretty much home bound last weekend. 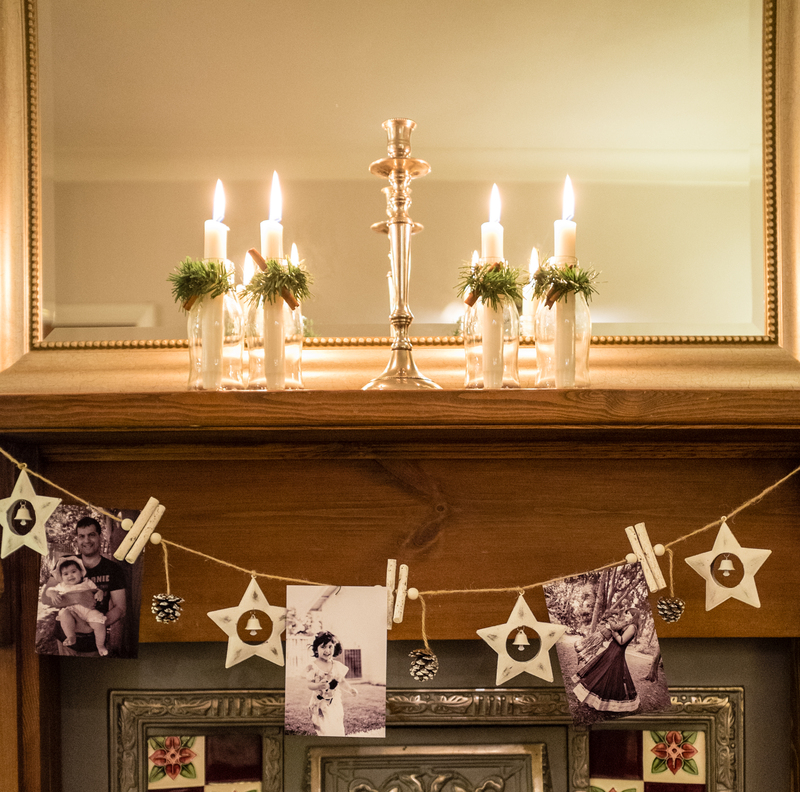 We spent our time preparing and creating festive decor arrangements. 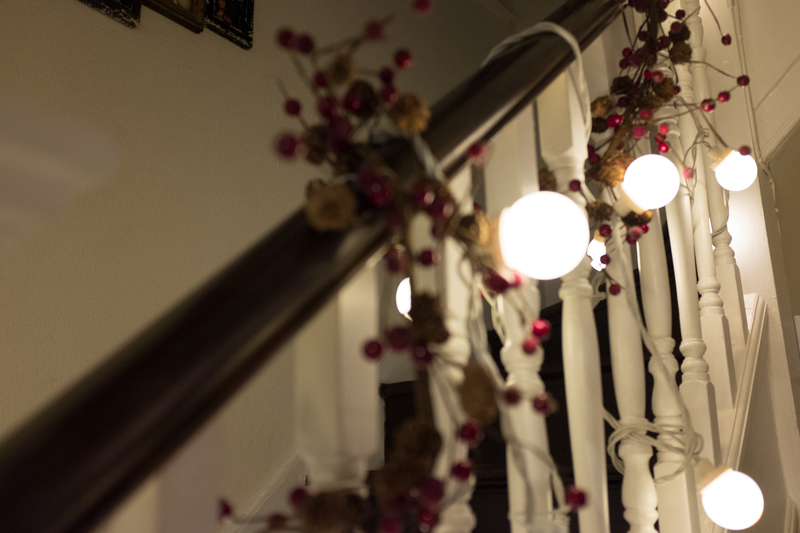 Let’s face it, festive décor is everywhere now. It’s on the streets, shops, catalogues and more. It can get a bit overwhelming and there are a lot of options to choose from. The trick is to plan and write down what you want to achieve with your décor. It is a good idea to stick to a colour scheme. It will help you to carefully choose décor items. However you don’t always have to stick to a theme, feel free to experiment and create your unique ideas. 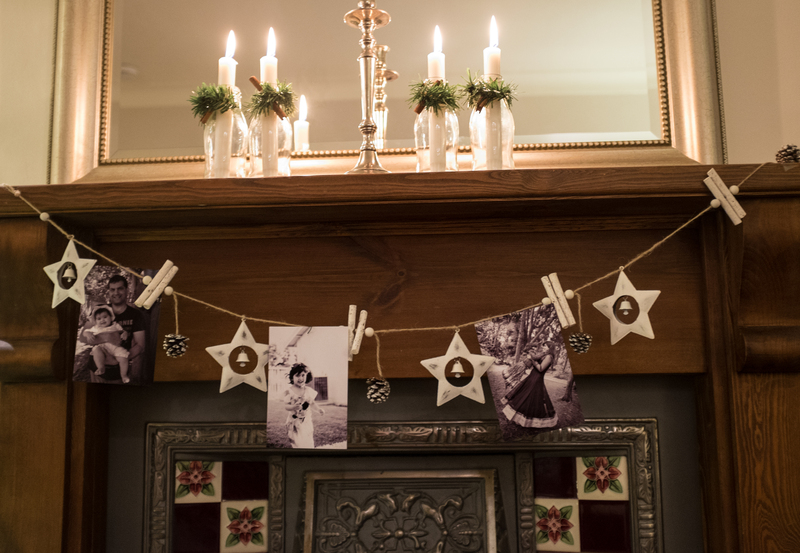 Here are some simple Christmas décor ideas I created at home. This is such a simple and easy to make arrangement. 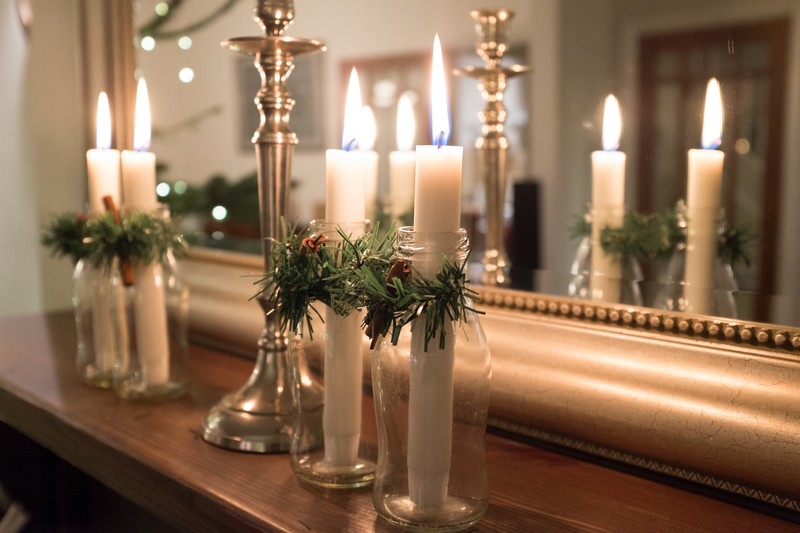 All you need is – few glass bottles, long candles, green twigs (bought from my local craft shop) and cinnamon sticks. Simply tie the twigs around the glass bottle, stick a cinnamon stick and you are done. A great way to turn simple glass bottles into something useful and beautiful. 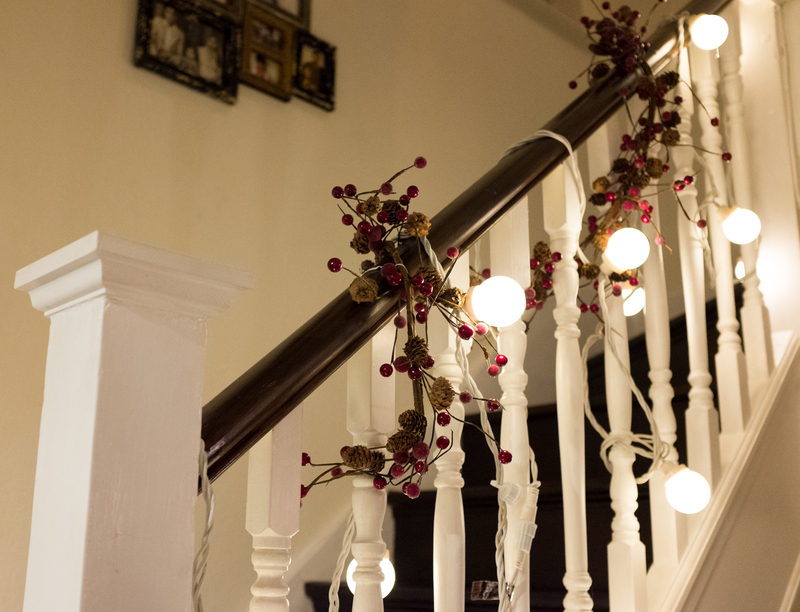 This year I tried decorating my staircase to create a warm festive feel the moment you enter home. Again it is very simple creation. 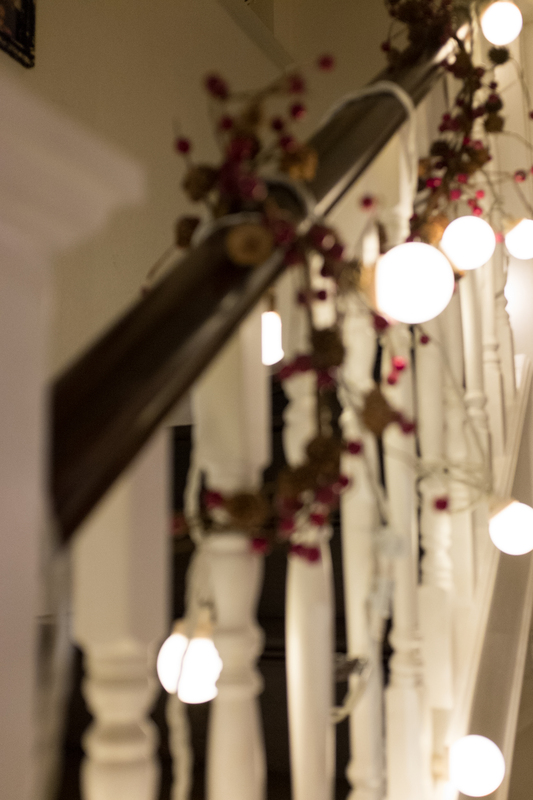 Simply intertwine a Christmas garland of your choice with festoon lights. Elegance is often found in simplicity. 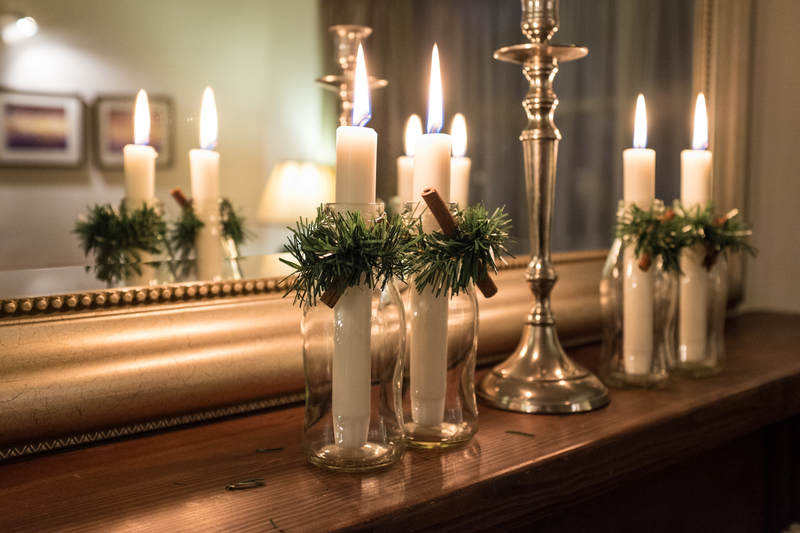 This arrangement is elegant and exudes festivity. I hope you will try it home. Involve you little ones and give them a chance to express themselves through craft. 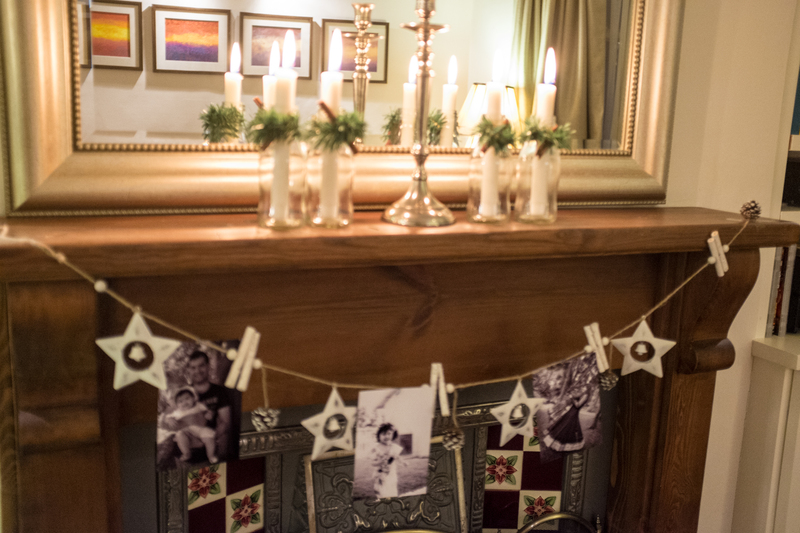 To create this arrangement I asked my three year old to paint this white house candle holder in Christmas colours. Once painted we added some loose glittery sparkles. 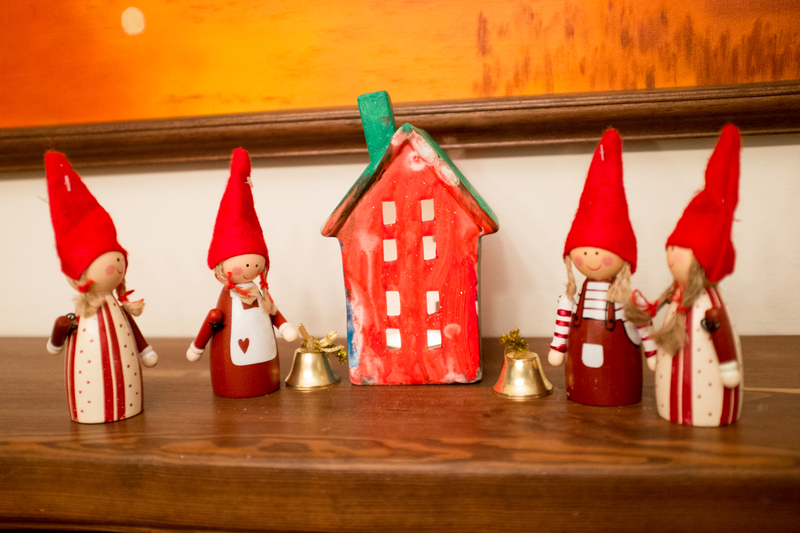 We decorated the house with some festive figurine perfect for creating kids Christmas crafts. So that’s what I did over the weekend. 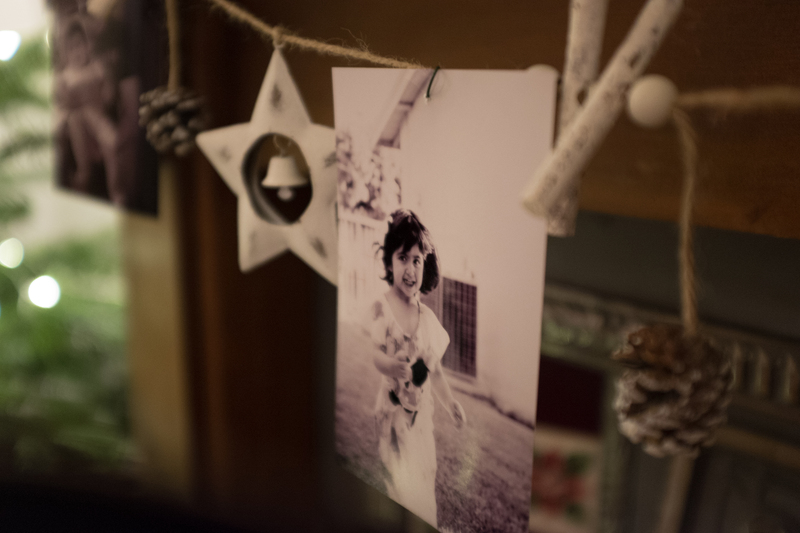 I hope you enjoyed exploring these Christmas craft ideas. Get creative and enjoy the season in full swing. I love crafting at this time of year, the colours are so warm and really help set the perfect festive tone. 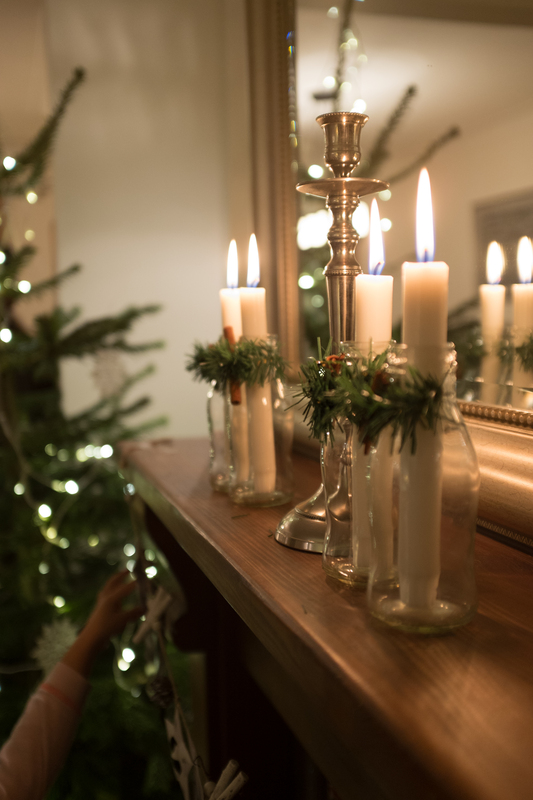 I really like your glass bottle candle holders idea… they look so beautiful and a bit of green makes them so festive.